Lately I've been looking for the perfect red holographic nail polish. I cannot say I am a big fan of red but for some reason a red holographic polish seemed very appealing. After browsing around a bit I decided to get Prize by Nubar. Here is my current mani using exactly that nail polish. To make the manicure more interesting I used TiNS the Mars on my ring finger. 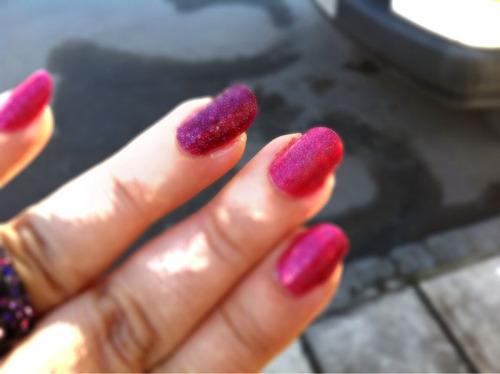 It is a dark red glittery colour. Although this mani is quite simple, I ended up liking it a lot. I used two coats of each colour and a coat of Sehce on top. Prize is an awesome holographic red and it looks stunning in the sunlight. Here is a pic I took with my iPhone. Do you like red holographic colours? Which one would you recommend? I seem to like red holos more than any other holo. Are you satisfied with this one? 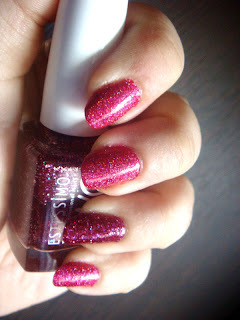 I got Glitter Gal in a swap with 'Chelle but haven't tried it yet. Pretty! I really like the accent nail you did. I love this! Im a sucker for anything holographic and this is no exception! I'm not a red holo person only because I'm not a red nail polish person in general. However, I love Nubar and this is great on you. 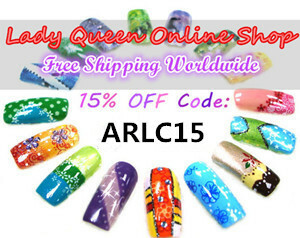 Nubar makes some excellent nail polishes and this looks like a winner too!!! But nooooooooooooooooo I included something similar in your birthday package *cries* I hope it's different! I love this red, so pretty! @KarenD thank you ^_^ I just had to add something to spice the mani up! @rock-or-not I'm glad you like it! 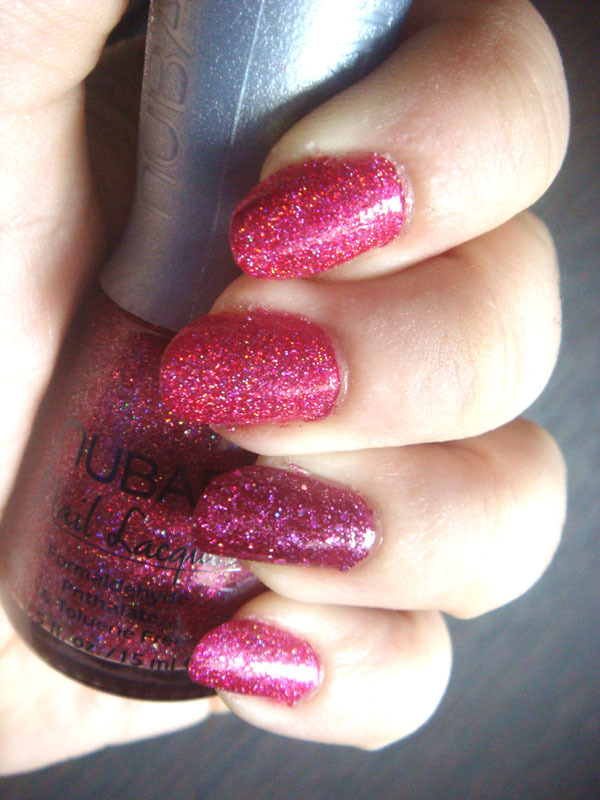 All the Nubar holos that I've tried look fabulous! @Lacquer Ware for Tips and Toes to be honest I don't like red much either. But somehow the holo won me over! @Tina thank you! I agree, their polishes are top notch! @Artemi einai! Skepsou oti arese kai s'emena pou den eimai fan tou kokkinou genika! @Argyro ^_^ xairomai pou s'aresan!